The German Spring Offensive or 'Kaiserschlacht' (Kaiser's Battle) of 1918 saw mobile warfare return to the Western Front after years of stalemate. 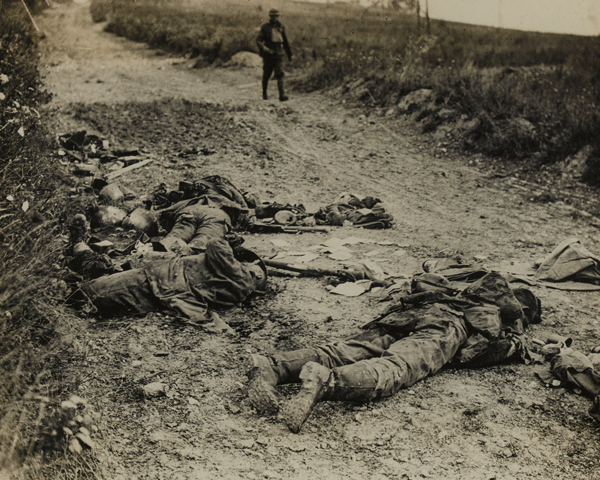 Despite sweeping early gains, the Germans exhausted themselves during the fighting. The stage was then set for the Allied counter-offensives of the summer and the final defeat of Germany. The withdrawal of Russia from the war in 1917 released substantial numbers of German troops for use elsewhere. Aware that submarine warfare had failed to defeat Britain and that large numbers of American troops would soon be committed to the war, the Germans prepared for their final offensive in the west. Field Marshal Haig’s British divisions were all under-strength in infantry. The government was unwilling to send more troops to the Western Front so Haig was forced to reduce the number of infantry battalions in his divisions from 12 to nine. 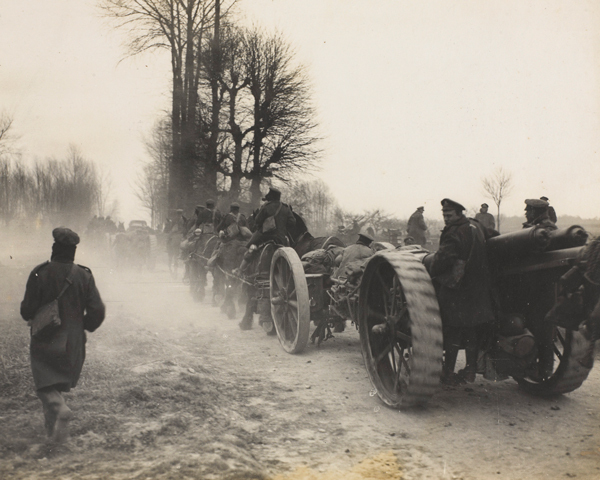 In mid-February 1918, 81 German divisions faced Haig’s 59 and for the first time in three years the British had to prepare to face a major attack. Haig could not afford to give ground near to the Channel coast, so the northern sector of his front was most heavily defended. Further south his forces were more thinly spread. 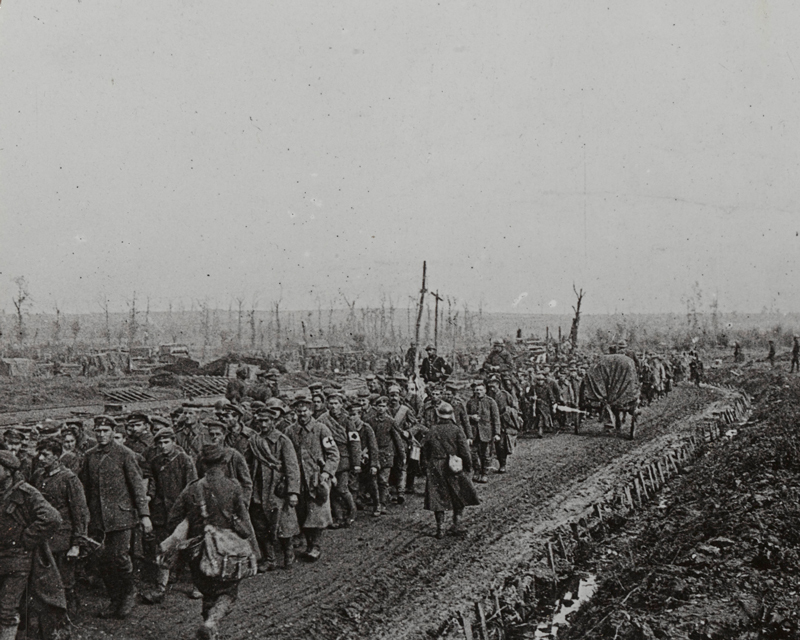 General Plumer’s Second Army, around Ypres, had to hold 37km (23 miles) of line with 14 divisions. Whereas, south of Cambrai, General Gough’s Fifth Army only had 14 divisions with which to hold 67km (42 miles). On 21 March 1918, the Germans launched Operation Michael. Around 10,000 guns fired over a million shells in five hours against General Byng’s Third and General Gough’s Fifth Armies. Then, 47 German divisions attacked. The intense 'hurricane' bombardments targeted artillery and machine-gun positions, headquarters, telephone exchanges, railways and communication centres. This undermined any chance of concerted British resistance. Heavily armed German ‘storm troopers’ then infiltrated weak-points in the line. 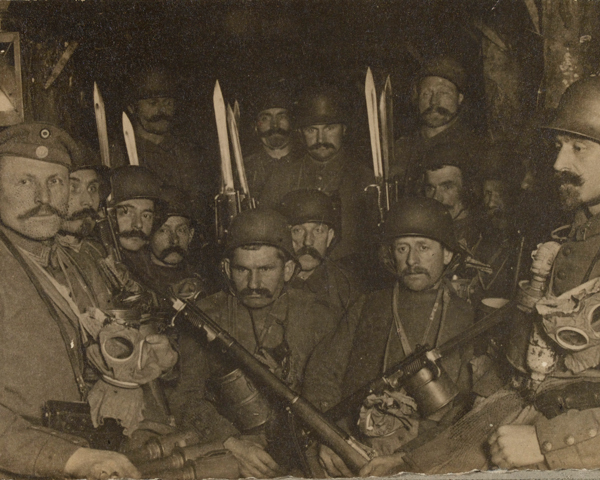 They by-passed pockets of resistance and broke through the British trench system, leaving subsequent waves of troops to ‘mop up’ any enemies to their rear. Lacking reserves, Gough’s line soon gave way. By the evening of 23 March the Germans had advanced up to 19km (12 miles) in some sectors. This early success belied the core weaknesses of the plan. The Germans were too exhausted to sustain the offensive and lacked the transport to convert local tactical triumphs into strategic victory. 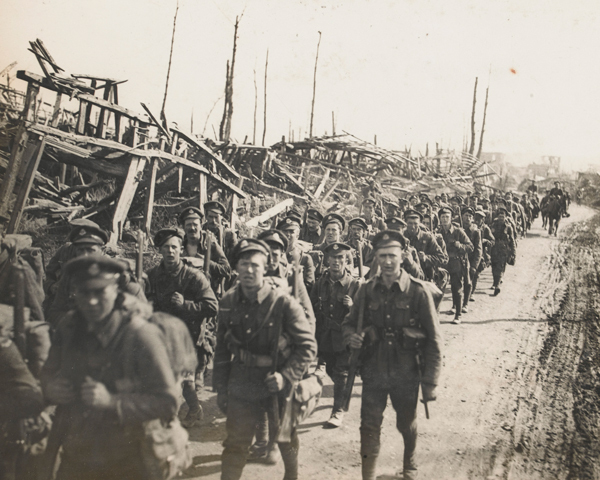 They struggled to move men, supplies and guns across the shattered landscape of the Western Front. But, in the first few days, panic spread along some sections of the Allied front. It looked like the Germans might win a stunning victory. On 26 March, in exchange for reinforcements, Haig agreed to the appointment of France’s Marshal Foch as supreme commander on the Western Front. 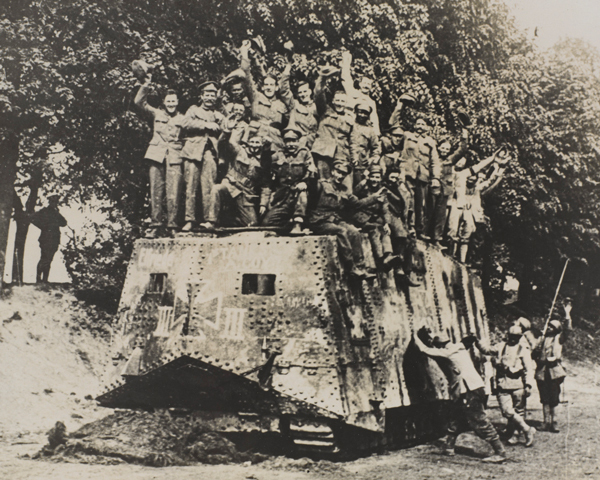 Although the Germans had advanced as much as 64km (40 miles), by 5 April their advance began to run out of steam and they were held east of Amiens. Total British losses were 178,000 men. The French, who became engaged as the battle developed, lost 77,000 and the Germans 240,000. 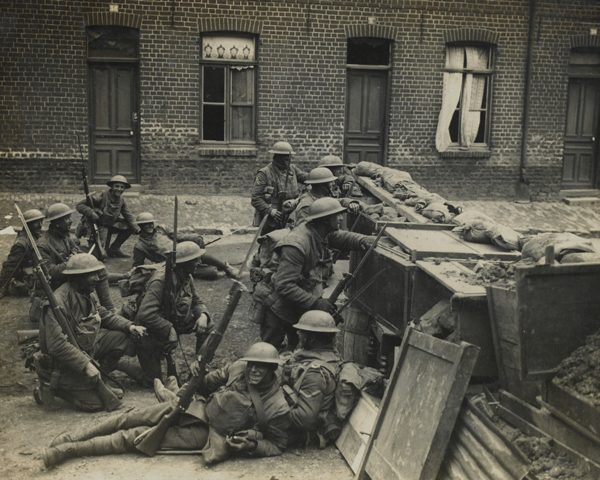 On 7 April the Germans tried again with a smaller offensive south of Ypres. Operation Georgette captured the Messines ridge and much of the Passchendaele salient. Once again the German attack lost momentum. Although they tested the French with a series of offensives further south between 27 May and 17 July, the Germans had shot their bolt. German morale began to crumble and on 18 July the French launched a counter-attack on the Marne, forcing the Germans back. Germany’s attempt to break through had exhausted its army and the initiative passed back to the Allies. 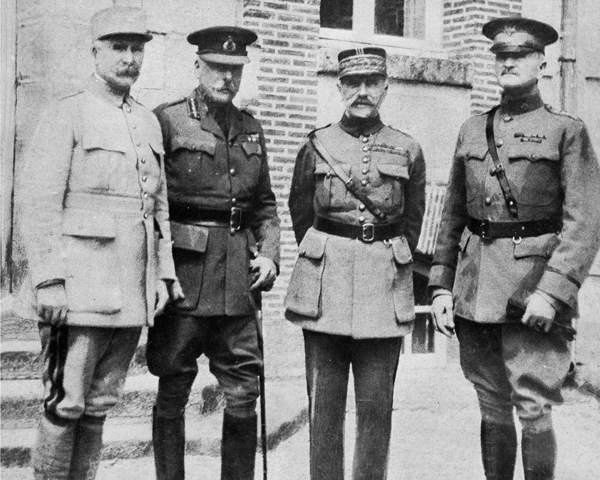 On 8 August, General Rawlinson’s Fourth Army launched a major attack at Amiens against the vulnerable salient created by the German offensive. 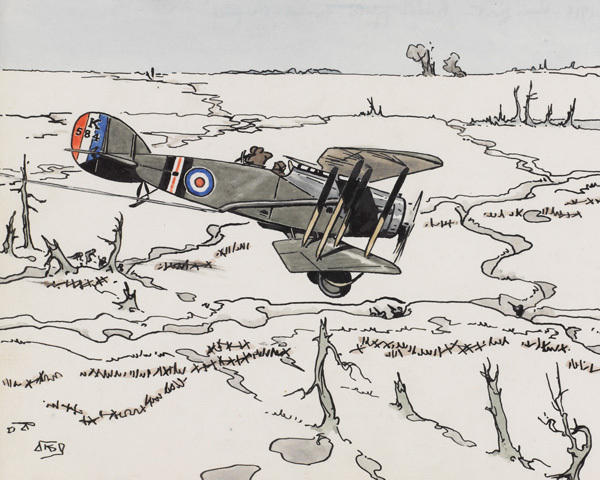 Rawlinson used over 2,000 guns, 450 tanks and 1,900 aeroplanes to support the attack by 13 divisions. The subsequent Battle of Amiens illustrated that the British had learned how to combine infantry, artillery, tanks and aircraft in a co-ordinated ‘all arms’ attack. This time it was the German front that broke. 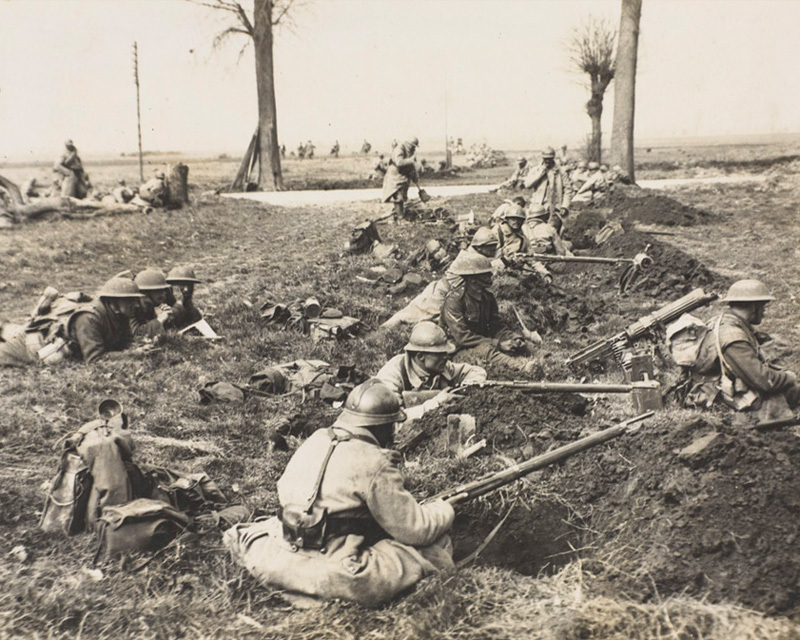 By the end of the advance, a gap of 24km (15 miles) had been punched in the German line south of the Somme. The Fourth Army had taken 13,000 prisoners and over 300 guns. Total German losses were estimated to be 30,000 on 8 August. The Allies suffered about 6,500 killed, wounded and missing. It was the first time that such large-scale capitulations had occurred. The German Commander-in-Chief, General Ludendorff, called it 'the black day of the German Army' due to the collapse in morale. 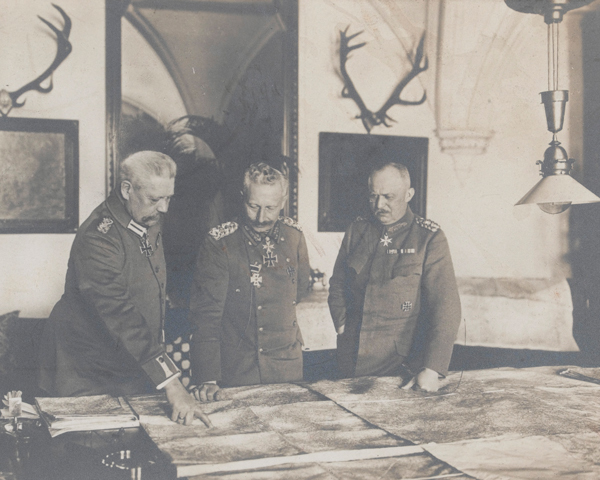 Both Ludendorff and the Kaiser now concluded in private that Germany could no longer win the war. Amiens began the period known as the ‘Hundred Days’, a series of offensives along the line, which drove the Germans back. Much use was made of the Australian and Canadian Corps in these attacks. On 26 September, the British broke through the Hindenburg Line and on 29 September they successfully crossed the St Quentin Canal. 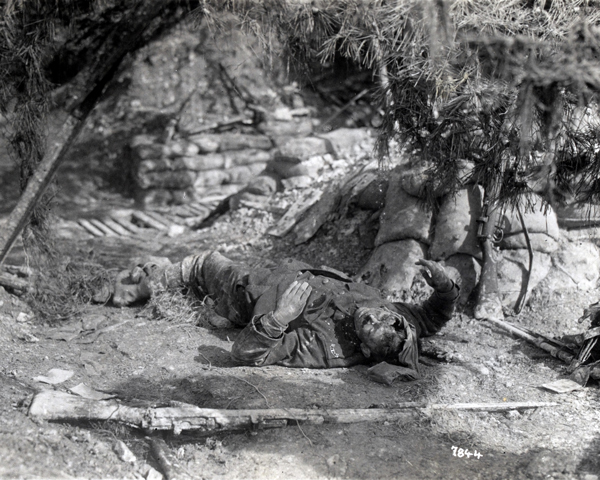 Nevertheless, parts of the German Army continued to fight ferociously and Allied casualties remained very heavy. 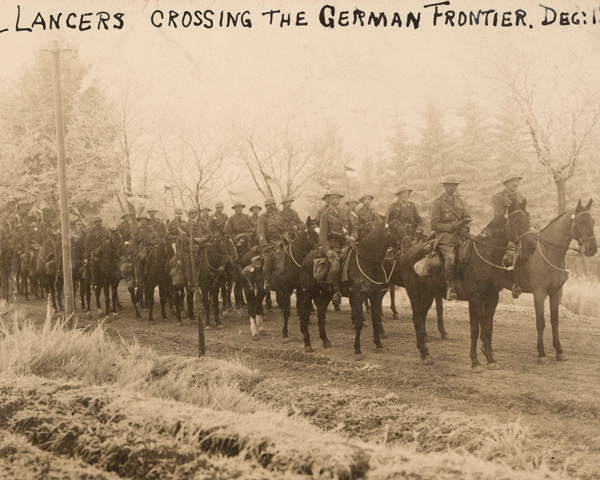 During the next two months, the Allies continued to pursue the Germans. Under relentless pressure, they were forced to sue for peace. At 5am on 11 November 1918, the Allies signed an armistice with Germany in a railroad carriage at Compiègne in France. At 11am that day, the ceasefire came into effect, finally ending the war. For the first time in its history the British Army had taken on and defeated the main body of the main enemy in a European war. 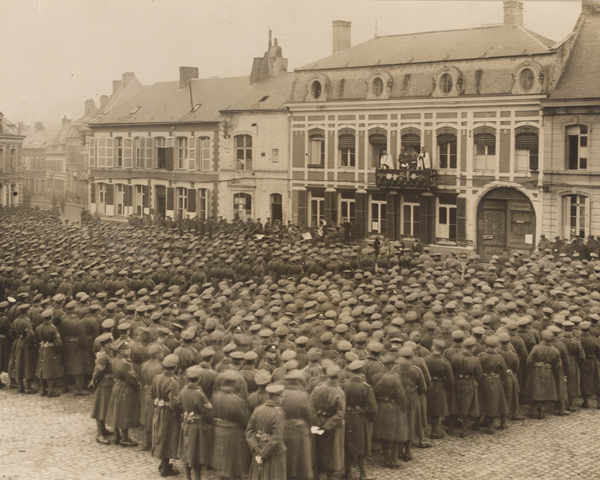 When the armistice was announced, the British were back at Mons where they had first been engaged at the start of the war in 1914. Peace came at a huge cost. The mobile warfare since March had cost each side over a million men. 1918 was the most costly year of warfare on the Western Front. In 1917, Germany adopted a defensive strategy on the Western Front to counter the growing strength of the Allies. 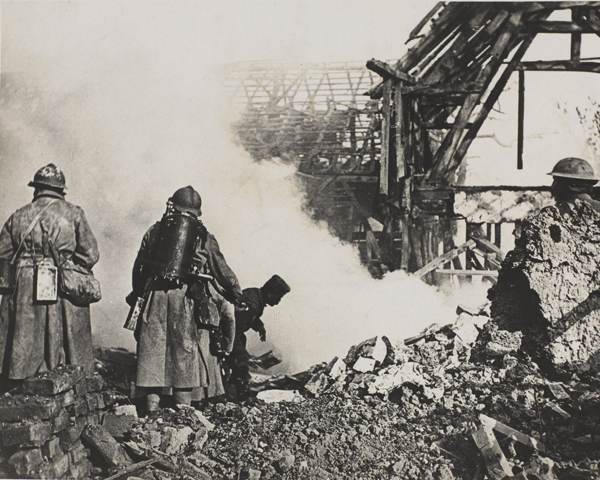 Despite launching several offensives, and suffering heavy casualties, the Allies achieved mixed results. 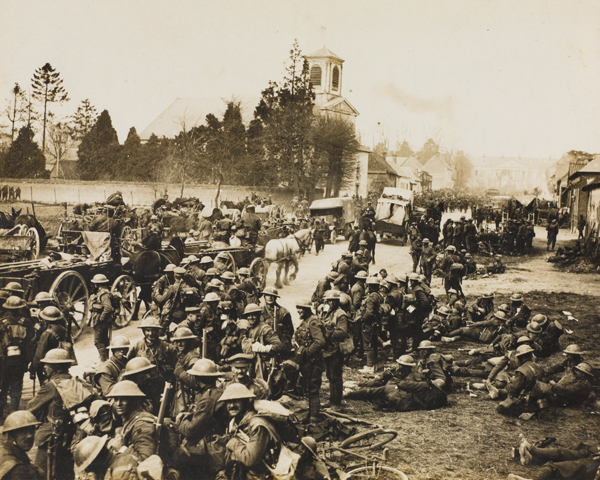 In July 1917, the British and French launched a massive offensive near the Belgian city of Ypres. 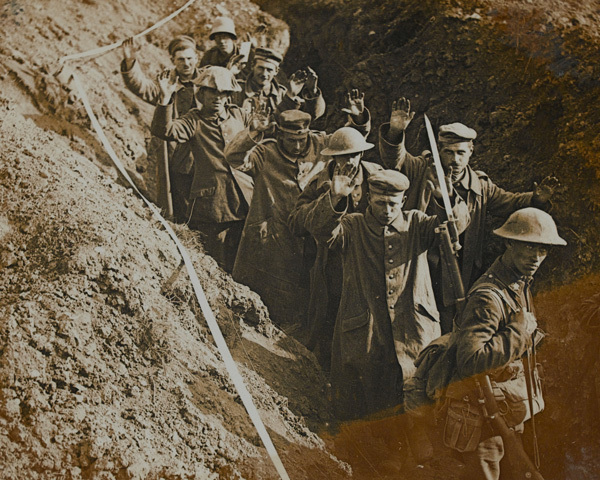 The bitter struggle that followed came to symbolize the horrors of trench warfare. Field Marshal Sir Douglas Haig commanded the British Army when it achieved arguably its greatest victories, those over the Germans on the Western Front. But for many his leadership was marked by unacceptable losses. 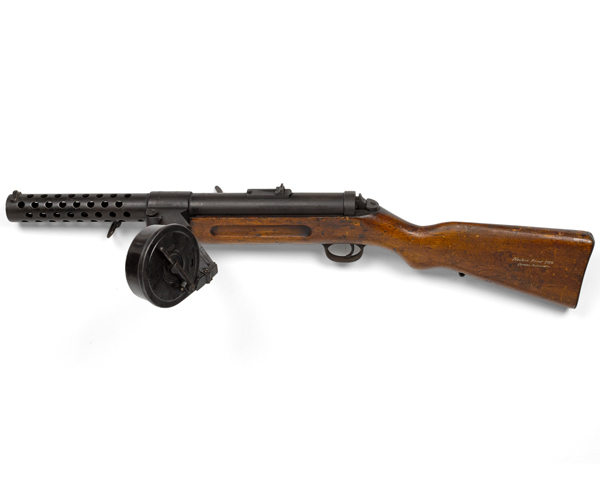 Explore the story of the Somme through objects from the National Army Museum's collections.